Every time that the Anne of Green Gables movies was on TV when I was a young girl—I watched it. Religiously. I loved the 1985 version….a true childhood classic for me. Anne with an E was my idol. Mostly because I too was an Anne with an E so I felt like in some way we had a special connection. Now as an adult, I can’t tell you a single thing about the movie I watched many many times over as a girl, but I remember loving it and I remember that it made me fall in love with all things turn of the century and that I wanted desperately to move to Prince Edward Island and live on a farm, but I can’t really remember the actual story all that well. Admittedly, I never actually read the books as a girl. I had them all and I tried reading them but just couldn’t get past the first one because I already knew how to story would end (I remember that part at least). So basically, I have never read them, but now as an adult and new parent I have been longing for fond childhood memories. When the audio book came up for review, I eagerly jumped at the chance to review it. I have never reviewed audio books, but lately I’ve been in to podcasts so I figured this couldn’t be much different so I turned up the speakers at work and started listening to a beloved childhood classic rather than my typical Pandora station. 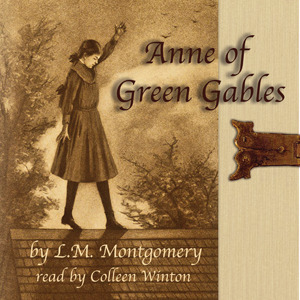 This is a delightful recording of the classic novel, Anne of Green Gables, by L.M. Montgomery, narrated by Colleen Winton. Anne, a young orphan from the fictional community of Bolingbroke, Nova Scotia (based upon the real community of New London), is sent to Prince Edward Island after a childhood spent in strangers’ homes and orphanages. Marilla and Matthew Cuthbert, siblings in their fifties and sixties, had decided to adopt a boy from the orphanage to help Matthew run their farm. They live at Green Gables, their Avonlea farmhouse on Prince Edward Island. Through a misunderstanding, the orphanage sends Anne Shirley. Anne is described as bright and quick, eager to please, talkative, and extremely imaginative. She has a pale face with freckles and usually braids her red hair. When asked her name, Anne tells Marilla to call her Cordelia, which Marilla refuses; Anne then insists that if she is to be called Anne, it must be spelled with an e, as that spelling is “so much more distinguished.” Marilla at first says the girl must return to the orphanage, but after a few days she decides to let her stay. Marilla feels that she could be a good influence on the girl and had also overheard that another disagreeable woman in town might take Anne in instead (summary from Goodreads). So let’s talk for a minute about audio books. As I mentioned I have never ‘read’ or ‘listened’ to an audio book. My fear was that I would not pay attention and get lost. Admittedly that did happen a couple of times, but I just went back to the place I remember last and started again, not a big deal–it also happens to me when reading so I felt like it was comparable. What I liked best about the audio was it was like someone was reading to me. Colleen Winton is an amazing actress and narrator. I felt like she took on such distinct personalities for the characters that she was reading and it made the story come alive for me in a new and unexpected way! I was impressed with the talent and the pace of the story. I wasn’t bored and the characters were clear and the narration exciting and not monotone. I would highly recommend this narration and I was thrilled that my first experience with audio books was a positive one. My sister listens to a lot of audio books and she said that sometimes it’s hit and miss when it comes to a good narrator, but this narration was perfect! I wanted ti talk for a minute about the story it self though. So this story is a classic of course and I can see why. At it’s heart it is a Cinderella story. Poor orphan girls gets adopted by wholesome family and moves to an idyllic town where she meets the future love of her life (Gilbert Blythe). There are many memorable mishaps (hello raspberry cordial!) and endearing moments in this book. However, the adult in me was annoyed with Anne at times. There were many times when I was like OMG stop talking or OMG stop whining! I was so heartbroken that I felt this way. As a child I wouldn’t have noticed how impertinent Anne was but as an adult I felt like she was overly dramatic and it bugged me. I still liked the story just fine, but at times I could tell that the girl who grew up loving Anne with an E, grew up to become Marilla and that made me sad. Childhood cannot last forever. Review copy provided by: Author/Publisher in exchange for an honest review. Hallo, Hallo – at late I can visit! I am so wicked happy you were able to listen to this audiobook so close to when I was listening to it myself! 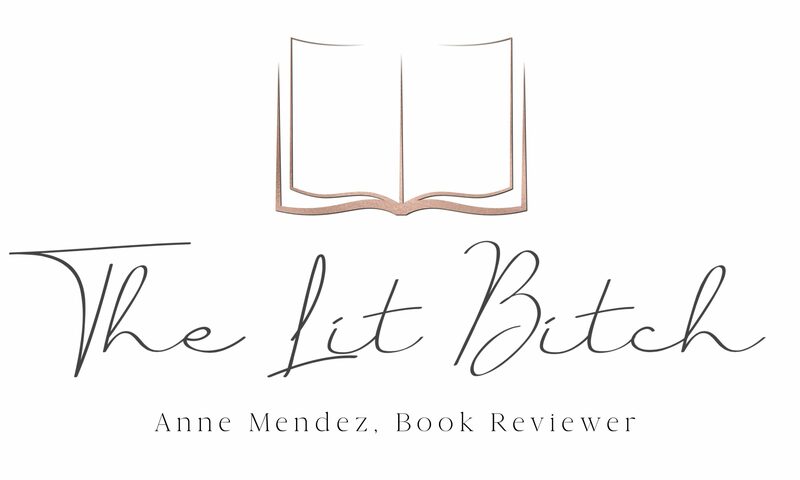 Esp as you will read on my review we share something in common: we both feel more akin to Marilla right now than Anne! Not to say, I don’t still appreciate Anne’s spin on the world, her zest for life and her bubbly personality which carts her away at times from knowing when to stop and when to take a breath. We all should remember to get a burst of joy so incredibly solid inside our souls that we simply cannot hold back the force of sharing it’s splendor with others; but yes, I do admit, I was siding more with Marilla this time round than with Anne. Isn’t this the truth!? I cannot for the life of me remember the mini-series either – just a few flashes of it here or there and I fear those are mostly the ones which they stitched into the trailer! So, of course they’d stay with me longer! As mentioned via DM, I do intend to watch “Anne with an E” but I knew going in they had changed it quite a heap – so if during the first epi of it I find it’s too removed from the original conveyance of Anne & Marilla – as much as Green Gables itself, I think I’ll opt-out of watching it in full. There are times where adaptations can either work well with a new liberty of interpretation and other times, such as the newest series for “A Series of Unfortunate Events’ which rankles and irks my ire more than endears me to embrace them. The latter left me disgusted. Blessed! I am so very happy you’ve embraced audiobooks! Aren’t they a true delight?! I know your time is dear – you can adopt them by the way via Audiobookworm if you’d like to try new authors or genres. I’m over the moon in love with the Cosy Superb Mysteries – I just finished Sharpe Shooter (review coming this week!) which I knitted too and yes, which led to my knitting injury (oy!) but seriously – I was quite chuffed about how the story was penned! Audiobooks are delishly addictive! I mention this as it’s still available if you love Southern Fiction & Mysteries like I do. I hadn’t fully crossed the line where Anne annoyed me to that level but I do admit, I had trouble shifting into the audiobook at first – only because this is my track record! It takes me a small bit of time to get used to the ‘voice’ I’m listening too and then find my rhythm to ‘hear’ them whilst finding the story alight in my mind’s eye as I listen. I do admit, I hadn’t fully remembered all of Anne’s quirks and in this, I understand where your coming from! As like I said, I sided more with Marilla this time – as I felt I could readily identify with her now, being I want to adopt children in the future. In this, we share an accord – your a new Mum and I look forward to being one. Thus, I think it was only natural we’d feel a kinship for Marilla, don’t you? I don’t think being Anne’s in our youth and Marilla’s in our adult years is necessarily tragic – if anything, it shows the full spectrum of growth which this series eloquently has highlighted all along. Just remember everyone loves Marilla too (especially as played by Colleen Dewhurst!) so I don’t think it’s bad to identify with her. Honestly, her brand of dry common sense is often a breath of fresh air. And hey, at least you didn’t grow up to be Mrs. Lynde! And yes, Anne can sometimes be a bit…overwhelming. It’s like her personality is cranked up to 110% at all times. Though the only thing that really annoys me now is her grudge at Gilbert. Like, ok Anne, forgive already. He’s sorry, he’s awesome, and you’re being childish! Love ya, girl, but golly!